I went to Michaels and picked out some fabric. I thought theses went well with my Retirement Chic style. 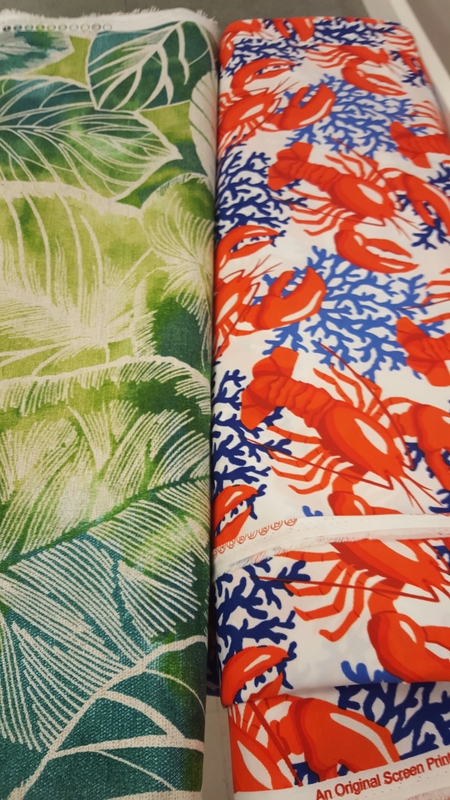 Who doesn’t love lobsters and banana leaves? 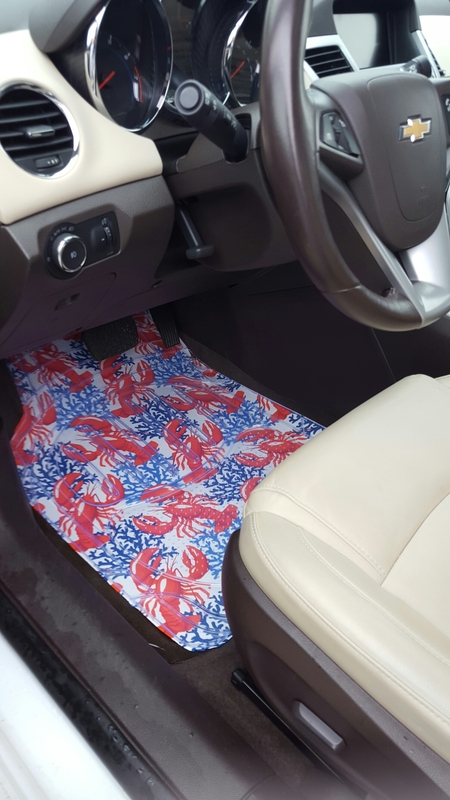 Then, I bought some clear floor mats and some spray adhesive. About 20 minutes later, lightheaded from the glue fumes I think I achieved what I was going for. 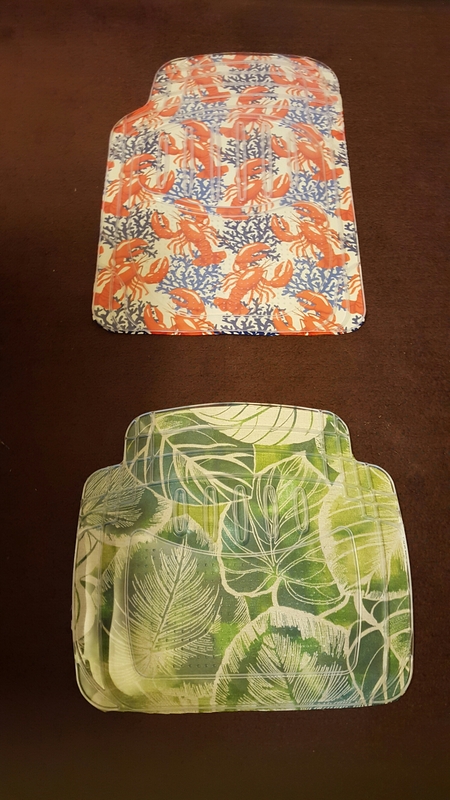 And if I ever decide to change up the look all I need is more glue… and perhaps a Hawaiian t-shirt.